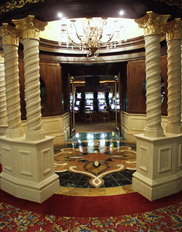 For centuries ceramic, glass and stone pieces have been used to enhance the appearance of art. Their use as decorative dressing to the outside of buildings dates back as far as recorded history. 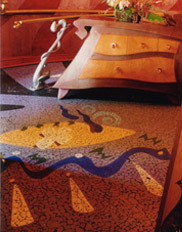 Interestingly enough, the methods used in the design and manufacture of such large scale tiling projects have not changed much from those ancient beginnings. 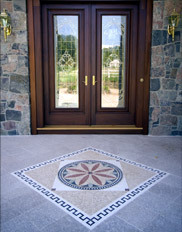 Colorco is a complete turn-key tile image design/manufacturing service. We will convert any image you supply into a beautiful tile rendering. Colorco can also supply this same service to glass, ceramics, stone, metal and some wood products. There is a complete range of images that can be transformed.